If you use a variety of different preserving jars and are tired of trying to find an easy way to open them, this Jarkey is the perfect gadget! Position the jarkey on the rim of the lid and lever upwards to release the vacuum in the jar. 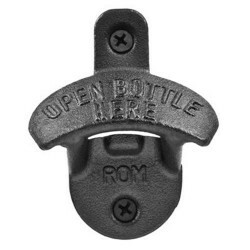 Can be used to open all types of preserving jars including Ball, Weck, Fowlers Vacola and even those tricky supermarket twist top jars. 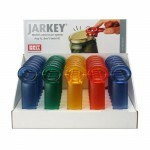 As the Jarkey just releases the vacuum in the jar it will allow you to open the jar without damaging the lid. Available in a range of frosted colours. Made of high density ABS plastic with no moving or sharp parts that can cause painful piercing injuries. It's dishwasher safe too.